Donald Miskel started his training in 1959 at the Jiu Jitsu Institute in Chicago and trained with several well known and respected martial arts instructors in a number of disciplines. He has attained black belt ranking in six different martial art disciplines. 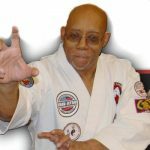 Sensei Miskel taught at several locations in and around the Chicago area for many years. His focus was self defense instruction for civilians and specialized, individual, training for law enforcement personnel and security officers. He worked in several areas of law enforcement, mental health and personal security as well as performing Pastoral duties at several churches and ministries for a number of years. e helped to create the Black Lotus Combative System and he founded the Dante Ryu Gojute Kenpo karate/ Ju jitsu fighting system. Dr. Miskel is an original member of the Black Dragon Fighting Society. Is There Life in the Martial Arts After Old Age? Still a Mother . . . The Reality of Combat: Are You Combat Effective?